UC Santa Cruz alumnus Stephen Mirrione, shown in 2001 with the film editing Oscar he won for his work on Steven Soderbergh's thriller Traffic. Last Day of Freedom—an animated short by UC Santa Cruz associate professor of art Dee Hibbert-Jones and San Francisco artist Nomi Talisman—has been nominated for an Academy Award in the category of best documentary short. The nominations for the 88th Academy Awards were announced today at the Samuel Goldwyn Theater in Beverly Hills. The 32-minute film is a portrait of a man at the crossroads of some of the most pressing social topics of the day—including veterans’ care, mental health access, and criminal justice. 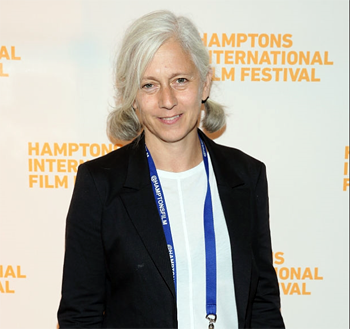 “We want to acknowledge that our film touches on issues that became prominent and crucial in this past year—racism, the death penalty and the continuing attack on people at the most vulnerable places in our society,” said Hibbert-Jones and Talisman. Last Day Of Freedom, received multiple awards over the past year, including the International Documentary Association’s Best Short Film of 2015; Best Short Film at the Full Frame Documentary Film Festival; and the Filmmaker Award from the Center for Documentary Studies. UC Santa Cruz alumnus Steve Mirrione (theater arts–film, '91) also picked up a 2016 Oscar nomination in the category of film editing for The Revenant, which earned 12 nominations—including best picture and acting nominations for both Leonardo DiCaprio in the lead acting category and Tom Hardy for supporting actor. 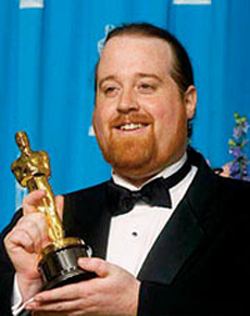 Mirrione previously took home the 2001 Academy Award in film editing for his work on the Stephen Soderbergh film Traffic. He also won the American Cinema Editors "Eddie" Award in 2006 for his editing of Babel, and in 2014 for Birdman or (The Unexpected Virtue of Ignorance) for which he also was nominated for an Academy Award. His film credits additionally include The Hunger Games, 21 grams, George Clooney’s Good Night, and Good Luck, and Ocean’s Eleven. The 88th annual Academy Awards will be held on Sunday, February 28 at the Dolby Theatre in Hollywood, and will be televised live in more than 225 countries and territories worldwide.